With monitor technology changing so fast we have put together a handy guide for selecting the right monitor for your PC. 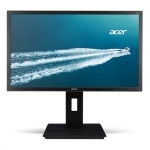 When it comes to screen size you want to choose a monitor that can fit your desk, display the required resolution and feel comfortable from your viewing position. The smallest monitors available today are between 19 & 20 inches. The standard and most popular size would be around 24 inches. Professional designers and gamers now look for screen sizes between 24 and 30 inches. 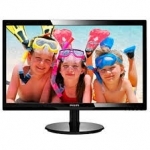 1080p or Full HD (1920 x 1080 resolution) is the most common resolution for monitors. 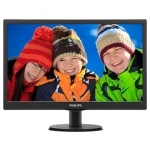 This offers great picture quality for monitors between 21 & 24 inches. 4K Ultra HD (3840 x 2160 resolution) has 4 times the number of pixels of Full HD which can result in sharper pictures. 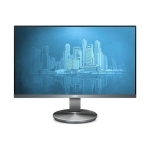 4K monitors are becoming more popular especially with graphic designers and gamers. TN panels are the cheapest and most common type of LCD panel. They have fast response times and high refresh rates. This makes the TN monitors ideal for gamers who require high responsive levels for smooth gameplay with less lag and screen tearing. Their downfall is less accurate colour reproduction and restrictive viewing angles. 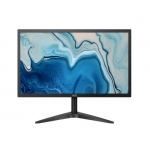 VA monitors offer better colour reproduction and viewing angles than TN panels but their main advantage is displaying deeper blacks and higher contrast ratios. 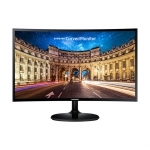 IPS monitors are known for superior colour accuracy and better viewing angles. They are ideal for graphic designers and users who require colour critical work. IPS monitors had the slowest response time and input lag however improvements in modern models have seen responsiveness improve dramatically which now makes this technology favourable with gamers. The standard interface ports for computer monitors are VGA, DVI, HDMI and display port. VGA is an analog connection that is becoming less popular due to its limitation to display larger resolutions. 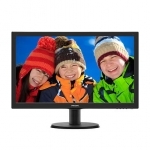 HDMI is the most common interface with monitor displays due to its full HD support and broad use with other devices. With the release of HDMI 2.0 this interface can now support 4K/Ultra HD video signals up to 60 frames per second. 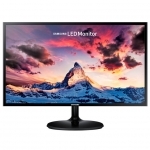 Display Port, while not common with TV displays is popular with computer monitors due to 4k/Ultra HD support and multi-screen capabilities. DVI is another digital interface which supports Full HD display however with a lack of audio signal and no support for 4K we believe the future in digital interfaces will focus on HDMI and display port.